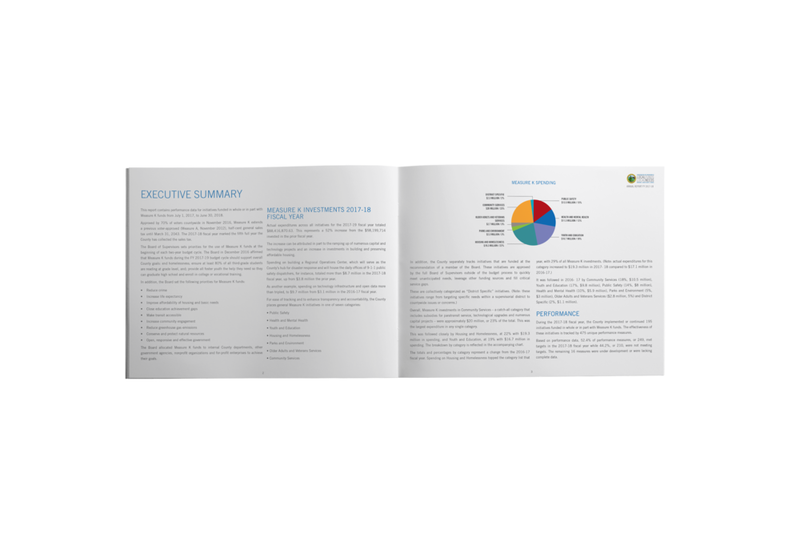 Status report targeted to stakeholders, agencies and government officials. 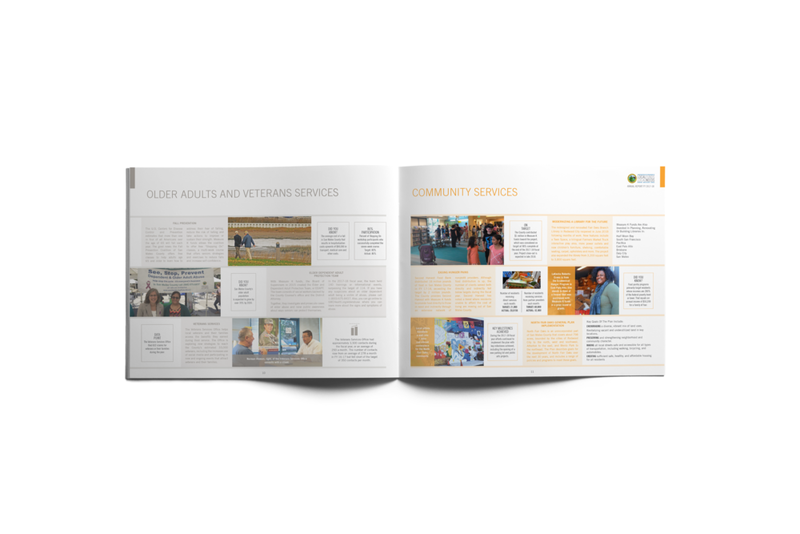 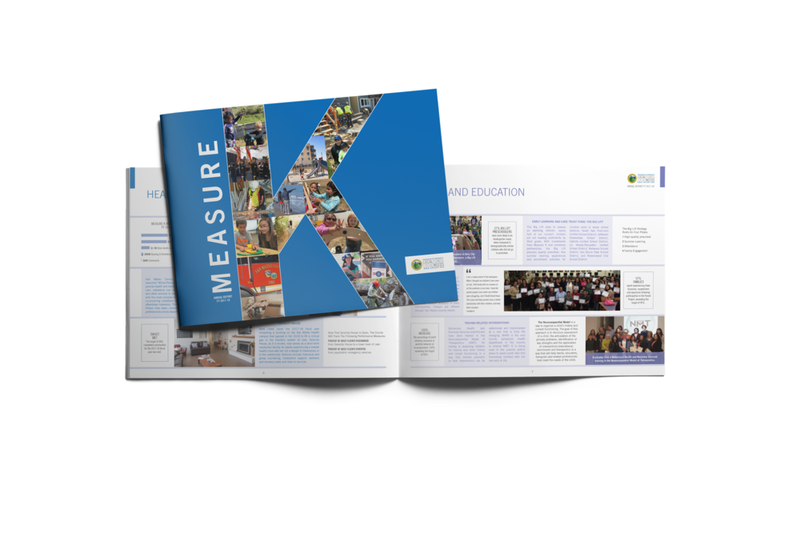 Untraditional design uses a modular layout to showcase individual programs. 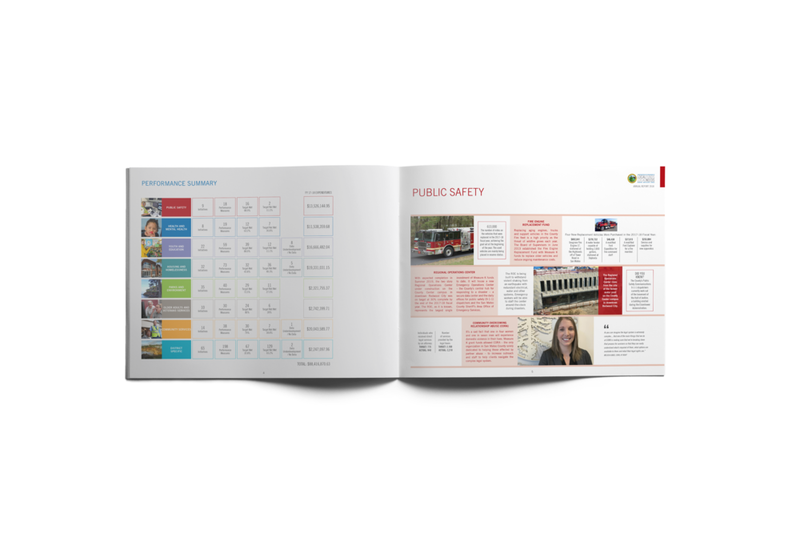 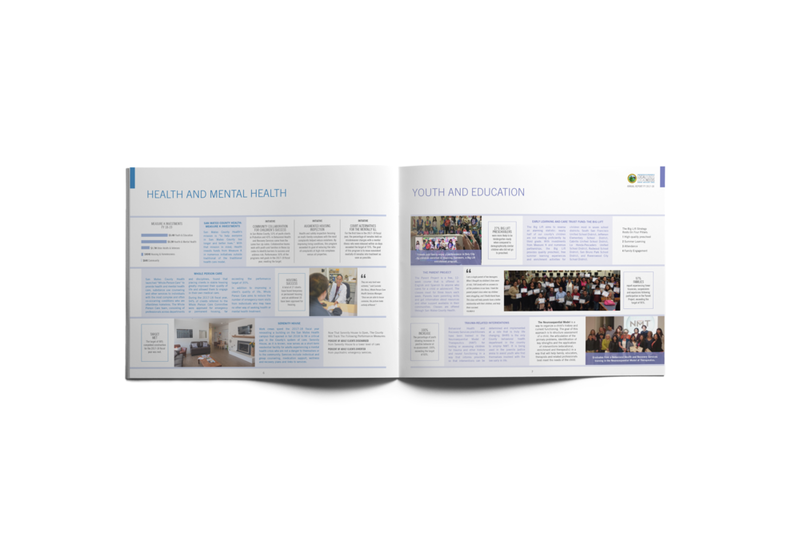 12 page, 11x8.5 horizontal layout report, using a modular layout to compliment the staccato styled content.